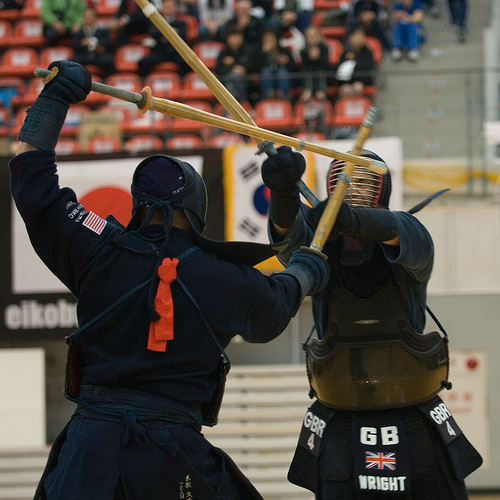 With the European Kendo Championships looming and the next World Kendo Championships just a year away, many people are thinking about the most effective ways to train for shiai. Opinion on how to best train for kendo competition seems to be varied. I had a lengthy conversation with one of the hanshi responsible for training the successful Japanese Team in a recent WKC and although he was reluctant to give away too many secrets, he told me that National Squad Training consisted of sessions with the younger, fitter 8th dan teachers acting as motodachi and putting the squad through a rigid regime of kakarigeiko style drills. There was also a stringent programme of medical checks to ensure that members with injuries that were likely to re-occur were excluded from selection. Japan is obviously in a different situation to the smaller kendo nations, where although team selection is also limited to the fittest and best, we do not have numerous strong competitors to choose from. Whereas the Japanese squad come together on a limited number of occasions for team building and to put a final polish on already developed skills, other countries athletes sometimes need to use national squad training to develop far more basic skills. The training needs of a hobbyist with exposure to keiko for a few hours each week are very different to those of a police tokuren, who is paid to spend 30 hours a week in the dojo. In most cases national squads can manage a few, infrequent training days together. Making the most of this time needs a great deal of thought from the coaching team. I have seen approaches that range from learning kata, to extensive kihon training to discussing shiai tactics and motivational psychology. I am sure that all of these have a place in the training tool kit. The most important consideration is how to make the best use of limited time spent as a group, particularly for teams which need to think and act as one. One thing is clear, no-one should expect to learn the basics of kendo through a few group training sessions. National team members need to build their own kendo through regular keiko. Anyone chosen to represent their country needs to train as often as they can, with as many people as they can. In Mumeishi dojo the seniors make a point of giving extra help to National Squad members by adding an ippon shobu and some “tough love” kakarigeiko to each keiko, but how we develop as shiai players, and kendoka generally, is the responsibility of one person – ourselves. I got a new blazer as a Christmas present, shortly after hearing of my selection as a referee for the 15WKC. I had lost a little weight since buying my last blazer, so decided on one with a smart tailored fit. I decided to break it in before the event and wore it to the Paris Taikai. So feeling that I was looking as sharp as any kendo shinpan can look. I took my place in the sports hall some thirty minutes before the beginning of the event and thought that whilst the competitors were warming up, I should do a few stretches of my own. I started by throwing my arms out to loosen my shoulders and the top button of my two button blazer took off. Fortunately I had some time before the first shiai, so I persuaded the nearby bogu seller to sew the offending button back in place; I then moved to my court for the first match. All went to plan for the first few contests, but later as I took my position as shushin, disaster struck. As one of the competitors exited the shiaijo, I raised both flags to call yame, as I did so; the top button again took flight and hit the timekeeper. Fortunately he was using a whistle rather than a bell; otherwise it may have been the first and only example of a shushin calling yame and ringing “time” simultaneously. Working on the premise that the best way to continue was with the minimum of fuss, I fastened the remaining bottom button before awarding hansoku and restarted the match. Within a few seconds red scored a decisive men ari and I and my two colleagues raised our flags for ippon. As my flag went up I felt a draught against my shirtfront. The shushin in the next court then stopped his match, picked up my second button and returned it to me. Now of my two buttons, one was on the timekeepers desk and the other in my inside pocket. Fortunately red scored again and as this was the taisho match, the replacement referee team took over. After a hurried group rei, I collected my remaining button and considered ways of getting through the day without looking a total slob. Luckily the emergency services were on hand. The Paris Ambulance Service very kindly went through their medical kit and found me two big safety pins which held my buttons in place for the rest of the day. I have now reverted to plan “d”. On returning home I went to the sewing supplies shop and bough a reel of elastic thread. After making a total mess of sewing on the buttons, I enlisted my wife’s help and now have the springiest blazer buttons in kendo. I will of course take my blazer for another test drive, otherwise it is back to the old model for the 15WKC. Tomorrow is the day of the British Open Championship and during the past few weeks several people have asked me about the best way of training for shiai. Other than the answer that ” it is too late” if you are asking now, I am not sure if there is any training that is solely specific to shiai. If you train to make your everyday Kendo stronger and faster then it will improve your shiai. In my view, what sets strong shiai players apart from the rest of us, is the confidence and ability to remain calm under pressure and of course, the more you train and the more shiai experience you have, the more confident you become. There are, of course, tactics that will help maximise on shiai performance, but these are of no use without kendo skill. 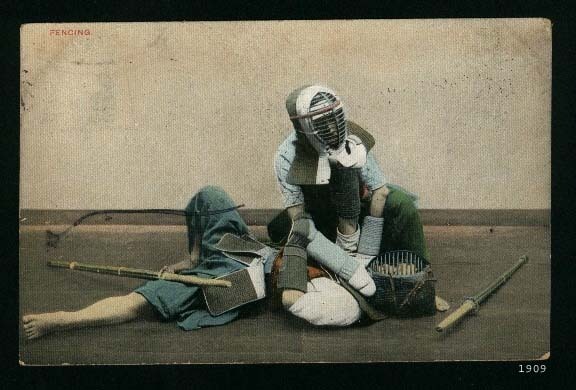 Arguably, concentrating too early in your kendo career on winning shiai can be counter-productive, with too much emphasis being put on not being hit and not enough concentration on correct technique. Newer refereeing guidelines point to the need for correct distance, cutting, posture, strength of strike and zanshin and if you think about it, these are best developed through kirikaeshi, uchikomigeiko and waza geiko. Of course you need to find or make the correct opportunity to attack or counter-attack, but again these can be learned in keiko as well as shiai. The only elements that are exclusive to shiai are the way you manage the space of the shiai-jo and the time allotted to the match. I recently saw a competitor lose by two points by accumulating four hansoku for stepping out of the area. Whilst this is an extreme case, many players would gain from having more awareness of how close they are to the line. The same applies to understanding where you are in the three, four or five minutes allowed for the match and ensuring that you do not peak too early or wait too long. If you are in an individual match or a team daihyo sen, then the stamina and the patience for a long encho are also important. So I suppose the same advice goes for shiai as passing gradings. The more kendo you do (correctly), the better at it you become. It is arguably much harder to become a good referee than a good kendoka. 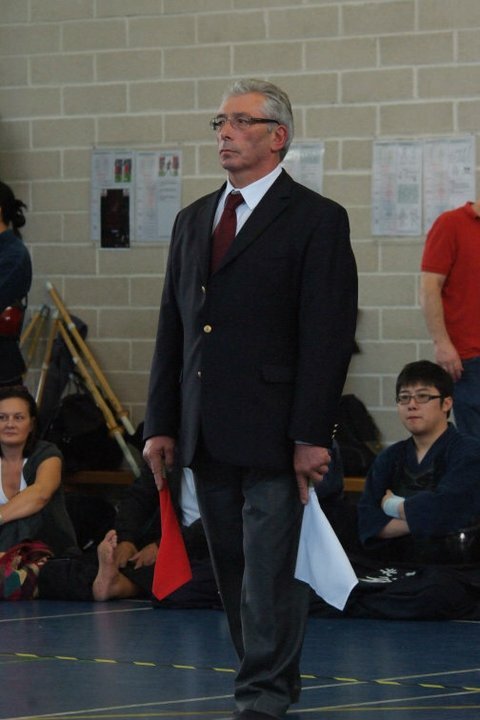 Having watched people trying to get to grips with refereeing at last weekends seminar, it is obvious that the combination of correctly judging yuko datotsu, moving as a team and confidently coordinating flags and voice commands is a massive task. It is also obvious that for Kendo to flourish, we need a pipeline of capable young referees for the future. Fortunately, in Kendo, there is a requirement for referees to be active kendoka. 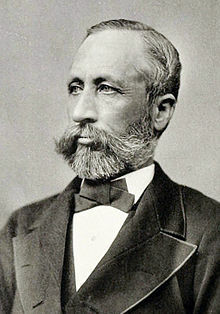 Unlike some sports where individuals who do not actually play, can qualify as a referee, there is not the level of contempt for referees that exists in say, soccer. Still, being the man with the flag is not the most glamorous job in the shiai-jo, which is why many kendoka prefer to continue their own shiai career rather than referee. This leads to increased pressure on the few people who do regularly referee. In an ideal world there should be nine referees per shiai-jo, to ensure everyone has sufficient rest time, whereas I regularly referee as one of a team of four. Everyone has their own view of what constitutes Ippon. Most would buy into the concept that the correct part of the shinai must strike the correct part of the target. The attacker must show ki-ken-tai-ichi and correct posture and zanshin. The cut must have sufficient force and finish and the sword cutting angle must be accurate. Using the evidence of their eyes and ears, referees need to compute all this information in a split second. To be able to do this, you need be in the right place at the right time. You need to move as a tight triangle with a constant view of both sides of both contestants. You also need to keep in sight of the other two referees, so that you can respond to their calls. Now clearly, if you spend your time in the shiai-jo worrying about the correct pronounciation of your next command, or thinking about where your flags should be if you need to make such and such a signal; you will be too busy to judge the next point correctly. So, you need to ensure that your position in the court, the commands and flag handling become second nature. Then you can concenrate on judging correct yuko datotsu. How do you do this? To quote the old New York joke, the same way you get to Carnegie Hall- practise.